The Rest of the Story. . . . This was the book selection this month for book discussion yesterday. 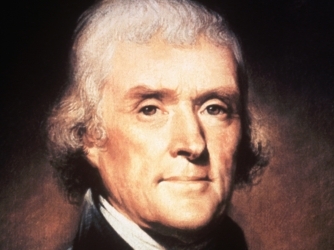 The history of Thomas Jefferson the author of the Declaration of Independence , president, and father of the University of Virginia was already very familiar to the group. Jefferson, though, had only a small part in this book. 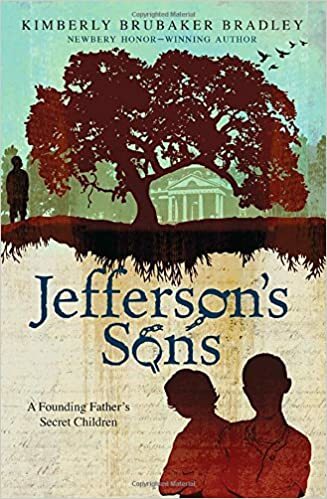 The theory is that Master Jefferson was the father of Beverly, Harriet, Madison and Eston Hemmings and that their mother was Sally Hemmings, one of Jefferson’s slaves. DNA research indicates that there is a connection between the Jefferson and Hemmings family. The definitive proof would be from Mr. Jefferson himself and disturbing his grave is something that has not been done. These Hemmings children lived as slaves with their mother at Monticello. They did have special privileges such as clothes and food and several of the children were given violin lessons. But they are continually admonished by their Mama not to mention whom their father was , though the she and the children spoke freely of their paternity while in the safely of their house. Sally was a loving , gentle mother who tried to prepare her children for their 21st birthday and freedom. She had traveled and lived in France during her teenage years and still remembered the French language she had learned during her time in country with Mr. Jefferson and his daughter. My husband has researched and written extensively about Thomas Jefferson. He gets annoyed that the emphasis now is that Sally Hemmings was his equal or partner in the important work of founding a new country. David has no doubt that the master of the slaves often used slave women for their pleasure. He objects to the prurient interest in making our past heroes “human” in their frailties. My friend Page explained it pretty clearly in that for years and years history was written with one point of view and now is a time when both sides of history are revealed. Mr. Jefferson’s work and words live on. He was not a perfect man, though of course, he did write the famous and poignant words “Life, Liberty and the Pursuit of Happiness” so often quoted. I can imagine that he must have had tortured moments about this situation and his hypocrisy in this situation with his slave family. The book is written in simple language of the young sons. There are some other books on this topic which are much more skeptical and scholarly. It is a quick read and describes the life and culture of Monticello quite well as well as humanizing Sally Hemmings and her children. I give it a 3.5 stars out of 5 stars. This entry was posted in American history, books, history, Uncategorized, USA. Bookmark the permalink.